Are you ready for summer? First thing on the to do list should be to plan a summer camping trip. 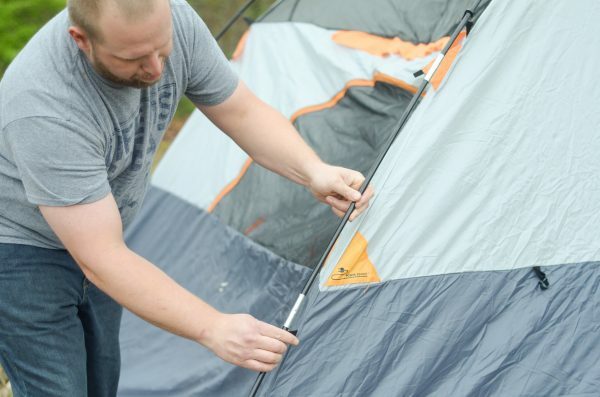 Before you leave, be sure you have these 5 Summer Camping Essentials. Our family goes camping frequently, especially throughout the summer months. 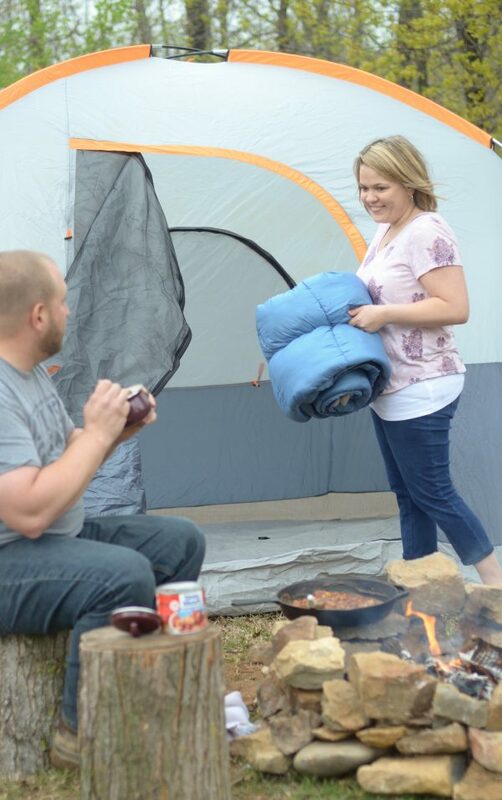 Of course, over the years we have found there are several summer camping essentials that we bring with us. I’ll admit that sometimes when we are ‘roughing it’, I feel like we are packing the entire house. Maybe that means we are ‘glamping’ more than camping? It could be. Last summer, we took an air conditioner with us. That has to qualify as glamping, doesn’t it? In Oklahoma,it gets well over 100 degrees in the summer months and we decided that we needed a cool tent instead of one that felt like a sauna. I won’t say an air conditioner is an essential by any means, but after many years of camping, you may want to add one to your list of things to bring. My friend and I typically will plan out all the meals before we head out on a camping trip. We almost always go camping with close family friends. 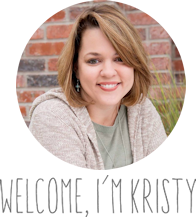 That means we generally plan meals for at least 9 people, so we try to get things that everyone will eat, even the kids, but the meals need to be simple. 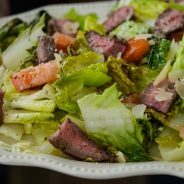 We have expanded our choices over the years and actually we have become pretty good at making really good meals even while camping. 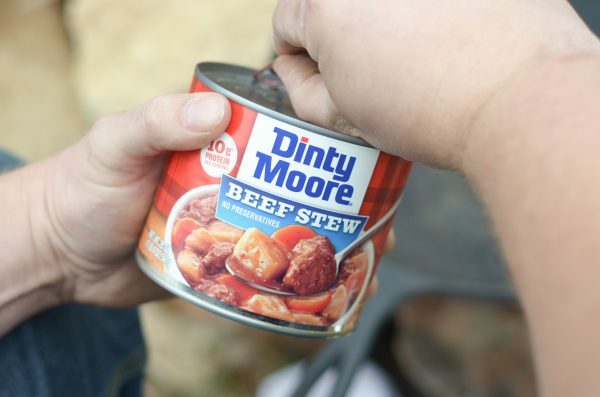 One that recently made its way to our list is DINTY MOORE® Beef Stew. Why is this? 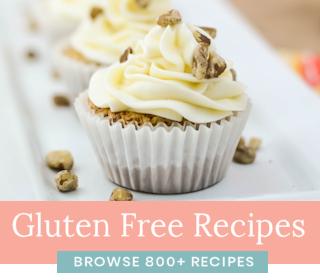 First, my son and I both are gluten free and that provides an added challenge to our meal planning. That’s typically why I am assisting with planning the meals. 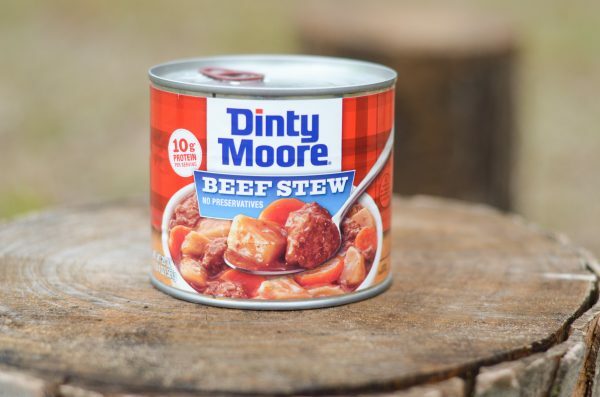 The best part of the DINTY MOORE® Beef Stew is that it is gluten free! 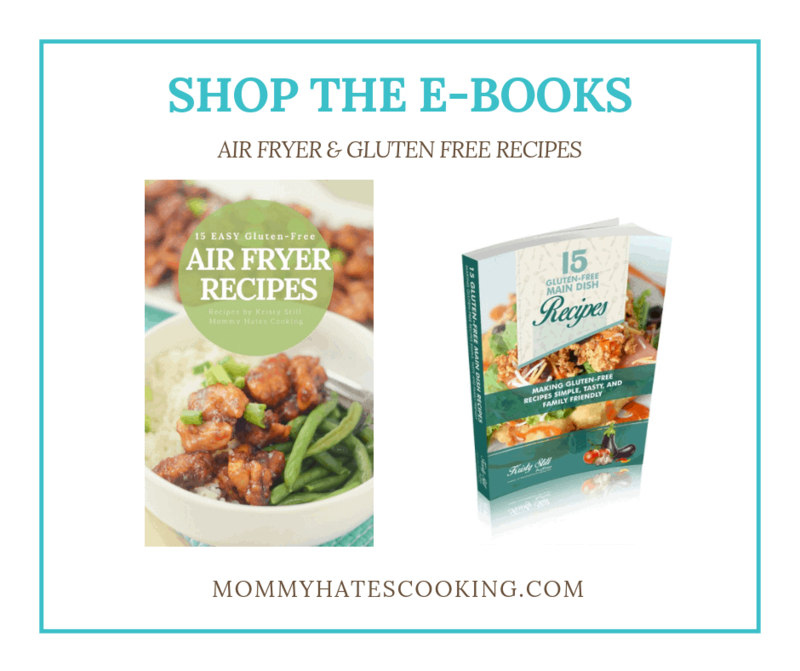 It’s not only super affordable, but it’s gluten free and tastes fabulous, too. 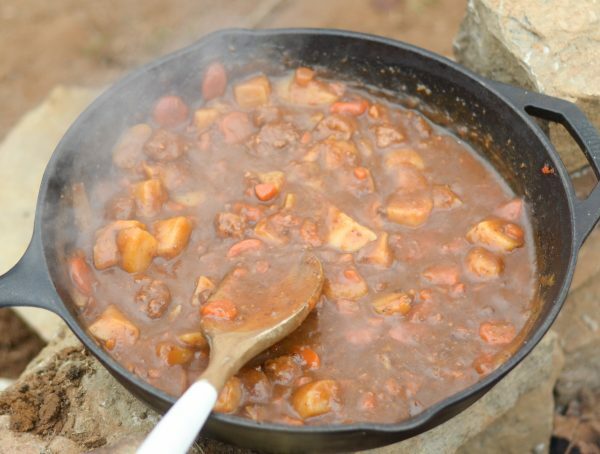 We set up the tent and poured the cans of beef stew into a cast iron skillet. It only took a few minutes and it was nice and bubbly over the campfire. 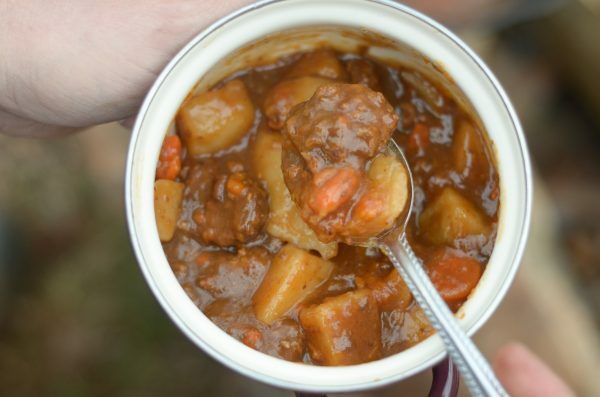 We were all ready to enjoy a tasty bowl of stew. 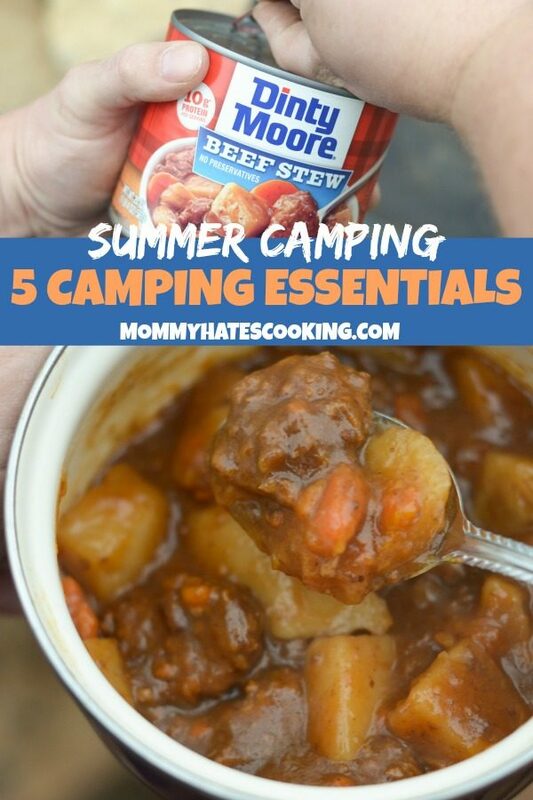 It was so delicious, honestly, we were very impressed with the wonderful flavor, plus it’s a simple one that you can literally just pack along right in your backpack for a camping trip. 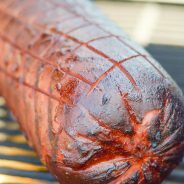 It is full of real meat, potatoes, and vegetables. My husband can easily warm it up while the kids and I get the sleeping arrangements all set up. 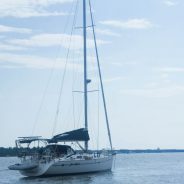 When we camp, we set up our tent and then head out on the water in the boat. It’s a great way to relax and enjoy some family time without a lot of extra money, too. It’s likely one of the most inexpensive ways to enjoy a vacation. Plus, it’s even better when you can feed the entire family a meal for less than $5! There are a few things that I highly recommend not leaving without when summer camping. Let’s get to those 5 Summer Camping Essentials. Tent with the Rain Cover – Be sure to use that rain cover unless you want to wake up wet! It never fails that it always rains at some point when we camp. Sleeping Bags & Air Mattress – The air mattress is a must-have for camping, in my opinion, but of course bring those sleeping bags. 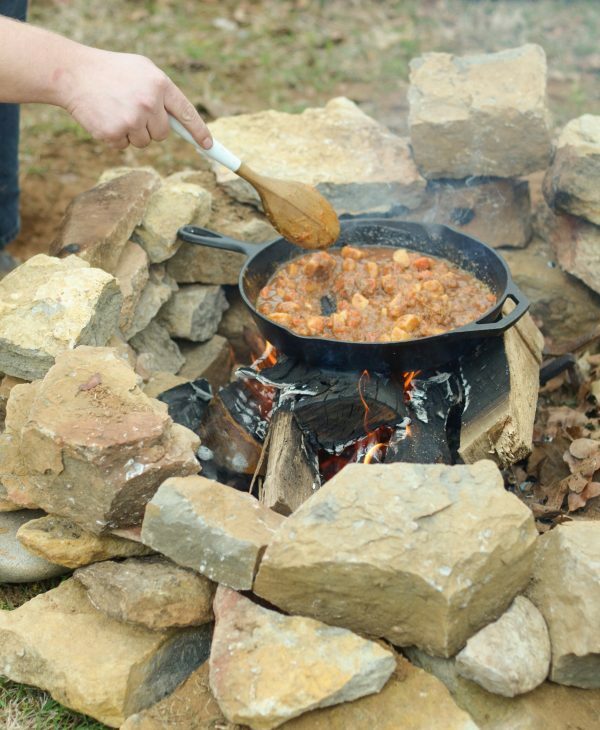 Cooking Utensils & Easy Foods – Cast iron cookware and food such as DINTY MOORE® products, that can easily be cooked over the campfire. Be sure to head to Checkout 51 for more savings, too. 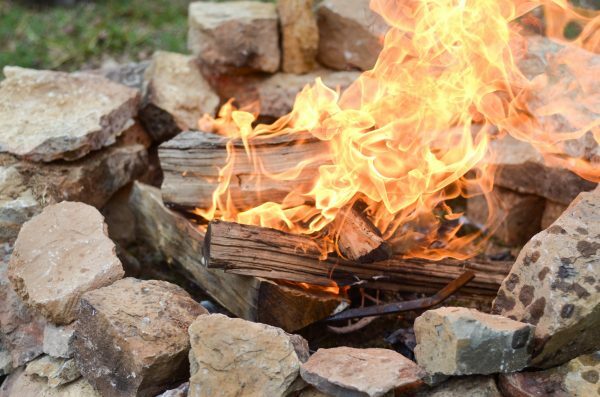 Lighter Fluid – This can save you a ton of time if you have some lighter fluid. Here in Oklahoma, sometimes it’s so wet that it’s hard to get the fire started without it. Bug Spray & Sunscreen – Be sure to add these to your list, especially for the summer when mosquitoes are waiting for you. 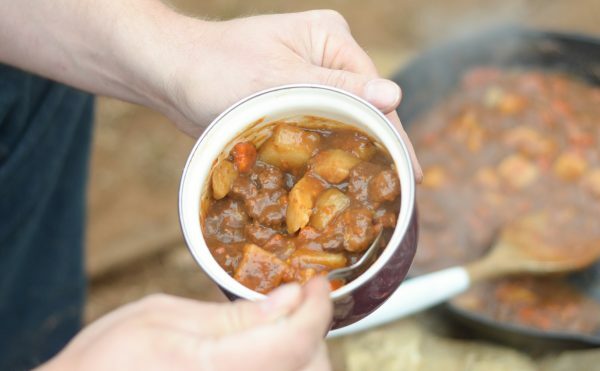 These are the must-haves that we never go camping without. We have added to our list quite a bit over the years. We also use a plastic storage bin that is just for camping gear. That way we can easily grab it and put it in the truck and head out for the weekend. 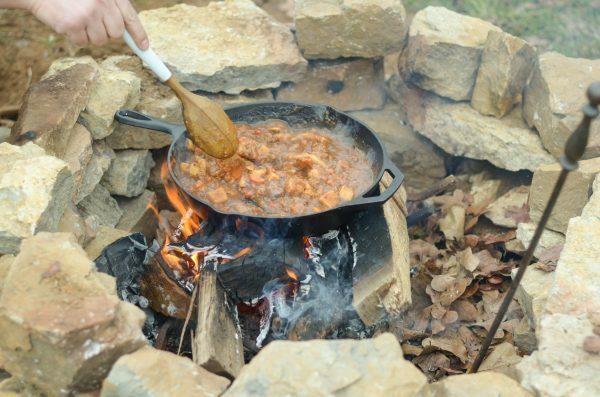 Be sure to share them with us and enjoy your camping trip! 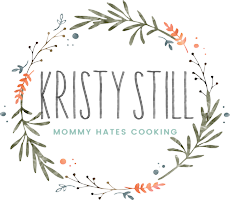 Awesome tip about easy foods… They make all the difference, especially when you’re wore out after a long day exploring.